This week the Energy Department’s National Renewable Energy Laboratory issued a study that shows how the eastern half of the U.S. could obtain as much as 30 percent of its electricity from wind by 2024. It's really not all that hard to do what we need to do here. These numbers paint a pretty hopeful picture of just how possible it is to transition America to a clean energy-powered economy. That's something to smile about over my Friday after-work beer! Stories and pictures of climate change impacting peoples' lives now continue to become more and more numerous every year. The Nile Delta, Egypt's bread basket since antiquity, is being turned into a salty wasteland by rising seawaters, forcing some farmers off their lands and others to import sand in a desperate bid to turn back the tide. Experts warn that global warming will have a major impact in the delta on agriculture resources, tourism and human migration besides shaking the region's fragile ecosystems. Over the last century, the Mediterranean Sea, which fronts the coast of the Nile Delta, has risen by 20 centimetres (six eight inches) and saltwater intrusion has created a major challenge, experts say. A recent government study on the coast of Alexandria, Egypt's second largest city, expects the sea to continue to rise and flood large swathes of land. "A 30 centimetre rise in sea level is expected to occur by 2025, flooding approximately 200 square kilometres (77 square miles). "As a result, over half a million inhabitants may be displaced and approximately 70,000 jobs could be lost," the study said. The fertile Nile Delta provides around a third of the crops for Egypt's population of 80 million and a large part of these crops are exported providing the country with an important source of revenue. Once stories and pictures like this start to hit harder in America, public support for bold policy solutions is sure to change. Only then, it may be too late to prevent climate disruption from having catastrophic impacts on life as we know it. How does this threaten, off the top of my head, a couple of my favorite things in life? For one, I hope that New Orleans (I'm a huge fan of the city's Jazz Festival) and my favorite ski areas (I'm an avid skier) are able to survive! A new report from the Yale Project on Climate Change indicates that Americans' awareness about climate change is increasingly headed in the direction of fantasy. Americans who believe that most scientists think global warming is happening decreased 13 points, to 34 percent, while 40 percent of the public now believes there is a lot of disagreement among scientists over whether global warming is happening or not. It is also clear that public understanding of climate change fundamentals - that it is happening, is human caused, and will have serious consequences for human societies and natural ecosystems here in the United States and around the world - is heading in the wrong direction. These findings underscore the critical need for more and improved climate change education and communication. In a joint statement, the science academies of the G8 countries, plus Brazil, China, India, Mexico, and South Africa, called on their leaders to "seize all opportunities" to address global climate change that "is happening even faster than previously estimated." The signers, which include U.S. National Academy of Sciences President Ralph J. Cicerone, urged nations at the upcoming Copenhagen climate talks to adopt goals aimed at reducing global emissions by 50 percent by 2050. The academies also urged the G8+5 governments, meeting in Italy next month, to "lead the transition to an energy efficient and low carbon economy, and foster innovation and research and development for both mitigation and adaptation technologies." Clearly, we've got some serious work to do to make sure voters in America are qualified to influence their politicians' decisions about climate change solutions. Here's an interview by Marc Gunther (MG) with Dan Yates (DY) of Opower, the energy practice educational company that is applying behavior change science to get people to use less energy. MG: Last question. Are you the company that has put smiley faces on some of these reports, basically congratulating people for being more efficient? DY: We are and it's actually a critical component and a fascinating example of the subtleties involved in commercial application of behavioral science and behavioral psychology. The studies -- Professor Robert Cialdini is the most cited behavioral psychologist in the country, and one of the most highly regarded behavioral psychologists in the world. He is our chief scientist. His research specifically in this topic demonstrated that showing people how their energy use compares to their similar peers, to their neighbors and similar-sized towns, was not enough, because those who use less than the average, as Professor Cialdini calls them, energy misers, would regress towards the mean, being pulled there magnetically, in exactly the same way as the energy hogs who are using more than average were drawn downward towards the mean. It was specifically and simply this smiley face emoticon that reinforced for the energy misers that what they were doing, this reduced use of energy, was a good thing, that just really locked them back where they were and kept them from regressing. We've now taken it a step further, showing people not only how they compare to the average, but also how they compare to the efficient average, which is the top quintile of their neighbors. That has actually enabled us to not only prevent that slide back, but in fact it continued to drive those folks further. So, yeah, we've got not only smiley faces but even two smiley faces. I just love this stuff -- and kudos to Marc Gunther for another outstanding piece. There is a huge world of potential for application of Cialdini's type of work to advancing our transition to a Green Economy. Supporters of a global warming bill have failed to captivate the country with warnings of drought, disappearing polar ice caps, refugees fleeing floods and worsening disease. So, they are ramping up a more positive-sounding argument. Forget environmental benefits and saving the planet. Clean energy, they say, could create millions of new jobs, a potentially powerful argument amid a 10 percent U.S. unemployment rate, the worst in more than a quarter-century. The University of California study, for example, noted that efficiencies encouraged by climate legislation would reduce energy and transportation costs, saving families and businesses money "they can spend on domestic goods and services, which will create jobs for Americans." As I always say, to build public support for this legislation, it's crucial to use appeals that are immediately relevant to improving peoples' everyday lives. If Republicans Have Bad or No Ideas For Solving Our Climate Change and Oil Addiction Problems, is Bipartisanship a Waste of Time? I'm a registered independent who votes based on the quality and likely success of policy proposals for effectively solving our nation's problems. Ideally, I'd have two (or more) viable parties with good ideas from which to select the best policy proposals. Unfortunately, the state of the Republican party in America has been so out of step with the best science on climate change, and has produced so many policy disasters over the last 25 years, that I'm unfortunately left with one party to choose from, and their ideas are anything but ideal. Their lack of spine for implementing what good ideas they do have is even worse. Mr. Graham’s opinion matters because he has been the only Republican willing to work with Democratic senators on some form of climate change legislation. He said that the price of attracting Republican and business support was to use the legislation to provide incentives for building nuclear power plants, stepped-up domestic oil and gas exploration and subsidies for reducing carbon dioxide emissions from coal. So essentially, the price of Republican participation in passing climate change and clean energy legislation is ignoring the advice of our best scientists (e.g., that failing to deal with climate change will only make solutions much more expensive) and our own Dept of Energy's Energy Information Administration (that domestic oil drilling is not a realistic means of preventing our next economically catastrophic energy crisis) and watering down good ideas with ineffectual ones (e.g., there is no such thing as "clean coal"). The centerpiece of Republican climate and energy solutions -- Nuclear Power -- is an energy source that Amory Lovins' Rocky Mountain Institute says we should "forget" due to its high cost, long construction times, and financial risks (not to mention health risks). This means that the result of bipartisanship will be to significantly decrease the effectiveness of the legislation for achieving its goals of combating climate change and fostering energy independence. If that's the case, why bother? If scientists told you that your drinking water needed to contain less than 5 parts per million of some radioactive element to avoid certain thyroid cancer, and Republicans -- claiming that cutting concentrations to those levels would be too expensive and would harm industry -- proposed 100 parts per million, would you drink water with a "compromise" level of 50 parts per million of that radioactive element? That's essentially what bipartisanship is achieving right now. Policy that isn't good for you, me or the country as far as realistically solving our most pressing problems. We need better. Until Republicans can come up with some good policy proposals with a realistic chance of success (and I hope they do -- the more good ideas we have to choose from the better), bipartisanship is typically a waste of time and, even worse, a waste of our hard-earned tax dollars. I really hope this sad state of affairs changes -- the sooner the better! Yep -- it appears that the growing problem of our crumbling infrastructure impacted our lives (and clothing) in a pretty inconvenient way. We had a bunch of mold-covered shoes that looked like the one in the photo, and a splotches of black mold on the outside-facing walls in several of our rooms -- fortunately very little in the baby's room. The good news -- the incident gave both Suzanne and I an excuse to shed a whole bunch of clothing and other stuff that neither of us wear or use anymore. What was not ruined is going to GoodWill. It always feels good to shed stuff! I'll be catching up on the latest in Conservation Value-oriented sustainability news over the next few days. I know I can't wait to own my own home so I can install solar electric and hot water systems that power and heat our home and charge our electric vehicles. As readers of this blog will know, I consider empty rooftops to be wasted space, so I love to read columns that promote using them to create clean energy. Let's do this! Bees fed pollen from a range of plants showed signs of having a healthier immune system than those eating pollen from a single type, scientists found. Writing in the journal Biology Letters, the French team says that bees need a fully functional immune system in order to sterilise food for the colony. 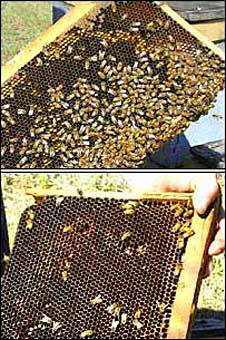 Other research has shown that bees and wild flowers are declining in step. Fascinating -- and a further reminder that protecting biodiversity isn't just about distant rainforests and pretty furry animals. It's very much about protecting human well-being -- including the viability of our food production systems. The first study, conducted by urologist Jorge Hallak, coordinator of the Reproductive Toxicology and Andrology, Hospital das Clinicas, examined 748 male workers who inhaled the air of major thoroughfares, according to a report from O Estado. The results of the study found that those who breathe too much pollution have a higher concentration of free radicals in blood, which causes a lower sperm quality even in the infertile men. Of the 748 men involved in the study, 500 showed some change in fertility. Researchers from the Faculdade de Medicina compared hospital birth records to air quality measures in a particularly polluted district in Rio de Janeiro between January 2003 to December 2006. The study looked at 13,660 births, and calculated an estimate of pollution exposure on the part of the mothers. The results found in 9.1 percent of children born were below the ideal birth-weight and 7.4 percent were born prematurely. Researchers concluded from this data that air pollution contributes to adverse effects in pregnancy. Exposure to high levels of ozone (O3) and airborne particulate matter (PM10) during the second and third trimester were found to contribute to babies a with low birth rate. When it comes to the premature birthrate, the substance deemed to contribute most to the increase in cases was sulfur dioxide (SO2), exposure to can affect the pregnancy during all three semesters, according to the Agência USP. Of course, climate change and clean energy and transport legislation that advances the proliferation of clean electric vehicles (which are substantially more energy efficient than gasoline-powered vehicles), will help to solve this reproductive problem. Today, two years on, 82 per cent of employees applaud the new hours, and hardly anyone wants to go back. Professor Lori Wadsworth carried out a detailed study of workers' responses, and she says: "People love it." A whole series of unexpected benefits started to emerge. The number of sick days claimed by workers fell by 9 per cent. Air pollution fell, since people were spending 20 per cent less time in their cars. Some 17,000 tonnes of warming gases were kept out of the atmosphere. They have a new slogan in Utah – Thank God It's Thursday. OK, once again it's time for those of you who blather on about how reducing emissions is going to wreck the economy to stick a bar of soap in your mouth. Wrong again! They looked at the progress and prospects of their attempts to argue for the preservation of nature by better capturing the value of the things – such as pollination, air quality and carbon storage – that it seemingly does for free. To this end, the Natural Capital Project, a group based at Stanford University, California, has developed a suite of computer programs called InVEST, which will analyse and map ecosystem services. InVEST allows farmers, landowners and government officials to make better-informed decisions about the current and future costs of an activity. I'm a big proponent of figuring out how to devise smart strategies to make conservation both possible and profitable. I recognize that without new mechanisms to allow people to make a living off the land by means other than logging, grazing, mining or otherwise destroying natural habitats, the loss of critical ecosystem services and biodiversity will continue. That said, I also recognize 'Slippery Slope' argument -- the potential that valuing nature will provide new justification for destroying it. But I haven't heard enough from the Slippery Slopers about constructive suggestions for solutions. The status quo isn't working. If you're against payments for ecosystem services, what do you suggest are viable solutions with bright prospects for reversing habitat destruction and biodiversity loss and maximizing the resilience of ecosystems to climate disruption? The 3,000 members of the Jemez Pueblo are on the verge of building the nation's first utility-scale solar plant on tribal land, a project that could bring in millions of dollars. Experts say tapping into the sun, wind and geothermal energy on Indian land could generate the kind of wealth many tribes have seen from slot machines and blackjack tables. 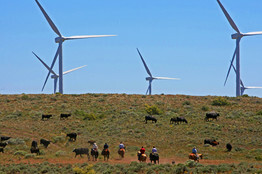 Indian tribes control more than 55 million acres of land across the nation, and those lands are capable of producing an estimated 535 billion kilowatt hours of electricity per year from wind power, according to the U.S. Department of Energy's Tribal Energy Program. Solar has even greater promise, at 17 trillion kilowatt hours per year, or more than four times the amount of electricity generated annually in the U.S.
That's sure a lot more in line with the values of most indigenous communities than gambling casinos! I'd love to see tribes rejuvenate their communities and cultures via clean energy. Better for the earth and better for their economies and, hopefully, their cultural survival. We have so much to learn from indigenous cultural perspectives, and it's always saddened me to hear of their disappearing knowledge and languages. Conversely, I've always enjoyed the times I've spent on reservations, the conversations I've had -- from Oirabi over at Hopi to Akwasasne up in Mohawk country. As a conservation biologist with a deep reverence for and attachment to the natural world, I often feel that my values are more in line with theirs than with those of Western Civilization. Uttering the words 'biological diversity' typically conjures up images of such natural wonders as Lemurs, Jaguars and Panda Bears. However, Nature's Services provided by insects -- including pollination of our crops and predation of our crop pests -- are among the most valuable provided by any group of organisms. They are so small that most people have never even seen them, yet "voodoo wasps" are about to be recruited big time in the war on agricultural pests as part of the wider effort to boost food production in the 21st century. The wasps are only 1 or 2 millimetres long fully-grown but they have an ability to paralyse and destroy other insects, including many of the most destructive crop pests, by delivering a zombie-inducing venom in their sting. Now scientists believe they have made the breakthrough that will enable them to recruit vast armies of voodoo wasps to search and destroy farm pests on a scale that could boost crop yields without polluting the wider environment with insecticides. I love the potential of this ecosystem services success story. However, I sure hope that if scientists are genetically modifying these organisms to attack specific crop pests, they are being very very careful to make sure the genetically modified wasps don't end up becoming a new invasive species problem. In what's really a must-read, given the monumental challenge we face in motivating citizens and decision-makers to advance the Green Economy, Grist's David Roberts interviews influence guru, Robert Cialdini. If we send people in San Diego a message saying the majority of your neighbors are conserving energy on a daily basis, that has more effect than telling them to do it for the environment or to be socially responsible citizens or to save money. If your neighbors are doing it, it means it’s feasible. It’s practicable. You can do it—people like you. It was very important that we say “people in your neighborhood.” If we said “the majority of Americans,” that wasn’t effective. If we said “the majority of Californians,” that was more effective. If we said “the majority of San Diegans,” that was more effective. But the most effective was “the majority of your neighbors.” That’s how you decide what’s possible for you: what people in your circumstance are able to do. Q. One of the toughest nuts to crack is energy efficiency—there’s all this potential, but people just don’t do it. Any thoughts on how these insights could be applied to efficiency? A. You could ask people to indicate the extent to which they think energy efficiency is a good thing, and make it a public, active commitment—then they’re going to be more likely to be consistent with it. You can tell them what stands to be lost instead of what stands to be gained. You can tell them what their neighbors are doing. You can tell them what experts are saying about this. Each one might have an additive effect; you’re going to clip 3 or 4 or 5 percent off with each one. But if you add them up, now you are talking about something that’s much more than a minor deflection. When I finished my Ph.D. in ecology back in 2003, I was well aware that we have the knowledge to solve many of our most urgent environmental challenges, and that the problems we face are problems of motivating people. Political problems, in large part. That realization lead me to return to my roots in communication (I started out my undergraduate studies at Cornell as a communications major), and to delve into the work and recommendations of influence experts like Cialdini. It's been an unbelievable journey that has lead to endeavors such as my establishment of this blog. Grist has an outstanding interview with Stephen Solomon, author of Water: The Epic Struggle for Wealth, Power and Civilization. One thing that (the problem of water scarcity) leads to is (problems with) national security and failed state issues. I’ll give you one example: Pakistan, where the U.S. has invested enormous resources, is a nuclear-armed state with a rift with the Taliban, and it’s already a bit of a failing state. Soon it’s going to have one third of its water from in the Indus River—its main water lifeline—dry up from the lost (Himalayan) glacier melt. At the same time, its population is increasing by 30 percent. So in the next 15 years, we can imagine a country that’s already on the brink, dealing with a loss of 30 percent of its water while the population increases by 30 percent. We see this coming, we know of the potential dangers that lurk around the corner, and that climate disruption is sure to bring unpleasant surprises. Yet America, the supposed leader of the free world, is also the world's greatest barrier to action on an issue that threatens to destabilize life as we know it?! How much better would we feel about America -- and ourselves -- if we were leading on these issues via an Apollo Project-like energy and land use effort? Such an effort would galvanize the hopes of billions around the world, would revitalize our economy, would revolutionize our security, and perhaps most importantly, would rejuvenate our currently-downtrodden national psyche with a positive, hope-inspiring "we can do this!" mission. The idea is to enable people to get low-cost loans to make home energy-saving projects, and pay back the money on their monthly utility bills. If payments are structured as envisioned, the savings on energy bills could equal the monthly loan repayments, so there is no additional monthly cost, or minimal cost, to the homeowner. The program is designed to help people use less energy, finance improvements with no out-of-pocket costs and create “green jobs” in home energy retrofits. We're at the point where we've been talking up the benefits of green products and practices for awhile now -- the green media really took off in the mid 00's. With barriers to progress on the proliferation of green technologies becoming ever clearer, smart policy solutions like this, as well as Berkeley's home solar initiative, are really starting to pop up. It's exciting to watch these emissions-reducing, money-saving ideas develop. What Would Failure to Combat Climate Change Quickly Mean? Failure to get our acts together on climate change and clean energy will make solutions more exorbitantly expensive the longer we wait. In addition, there are thresholds beyond which currently viable solutions will no longer be effective for stabilizing the climate. Failure to set and meet strict targets for greenhouse gas emissions cuts over the next 40 years could put long-term goals – such as limiting planetary warming to 2ºC by 2100 – permanently out of reach. That's the conclusion of one of the first analyses to explore the relationships among energy use, mid-century targets and long-term policy options, published Monday by the Proceedings of the National Academy of Sciences. "These guys have said if you wait too long, or if you don't do 'x,' the cost of even trying to achieve 'y' is just going to go through the roof," added (Gary Yohe, an economist at Wesleyan University). For all the talk of how expensive it will be to enact climate change and clean energy solutions now, these costs are nothing compared to what they will be if we don't take action. A relationship was found between pollution from vehicles and impaired lung function and accelerated hardening of the arteries. The report, to be issued on Wednesday by the nonprofit Health Effects Institute, analyzed 700 peer-reviewed studies conducted around the world on varying aspects of motor vehicle emissions and health. It found “evidence of a causal relationship,” but not proof of one, between pollution from vehicles and impaired lung function and accelerated hardening of the arteries. It said there was “strong evidence” that exposure to traffic helped cause variations in heart rate and other heart ailments that result in deaths. But among the many studies that evaluated death from heart problems, some did not separate stress and noise from air pollution as a cause, it said. The institute, based in Boston, is jointly financed by the Environmental Protection Agency and the auto industry to help assure its independence. Its reports are peer-reviewed but are not published in a scientific journal. From a scientific standpoint, the next step would be to conduct well-designed follow-up studies that use multivariate approaches to test and isolate causal relationships between vehicle pollution and human illness. From a common sense standpoint, we are once again reminded that climate change and clean energy solutions that slash vehicle emissions are also likely to help slash our health care and (thus) health insurance costs. A new study reminds us of the importance of how proposed climate disruption (aka climate change) and clean energy solutions are labeled, with the same solution gaining bi-partisan support worded as an "offset", but not if labeled a "tax". Columbia University psychological scientists David J. Hardisty, Eric J. Johnson, and Elke U. Weber wanted to see how the way in which a concept is framed (that is, how it is labeled) affects our attitude towards it. In this experiment, volunteers (who self-identified as Democrats, Republicans, or Independents) read about a program that would increase the cost of certain carbon-producing activities but would use the proceeds to fund alternative energies or carbon capture and sequestration. For half the volunteers this surcharge was labeled as a "carbon offset," while for the other half it was labeled as a "carbon tax," yet the details of the program were the same in each case. Participants then had to choose between two identical items (e.g., airline tickets), where one cost more, because it included the surcharge. Volunteers were asked to write down their thoughts about the decision, make a choice, and also indicate whether they would support legislation making the surcharge mandatory for all products of that type. This study provides yet another reminder of how opposition to climate change and clean energy solutions often doesn't make sense beyond framing and labeling issues. Somewhat frighteningly, the study also suggests that the ability of humanity to avoid catastrophic impacts of climate disruption might just depend on the word choices of a few politicians. Let's hope those shaping the public debate about the Senate's climate change and clean energy legislation are able to successfully integrate this type of lesson into their communication strategy. A lot of people are down on President Obama right now for packing his cabinet with Wall Street insiders who've stymied progress on the financial reforms needed to make sure the meltdown doesn't happen again. I, for one, think all the too-big-to-fails should be broken up. It's just too dangerous for there to even be such a thing, and Obama's lack of Rooseveltian fortitude in this area has been a real let-down. Come on, Barak, be bold enough to welcome the hatred of your enemies as FDR did! On climate change and clean energy (and other areas like health insurance reform), my sense is that while the Senate may be the main barrier to his success, President Obama has got to be more aggressive in pushing for solutions to the systemic problems that have been plaguing his agenda -- especially Senate Republicans' unprecedented abuse of the filibuster. I was thinking last night about how the filibuster can be likened to a time-out in a football or basketball game -- in that it essentially stops the game (or legislative process) at a critical moment when the inferior team (or Senate minority) sees something happening that they don't like. Imagine sports teams had unlimited time outs, and every time something not to their liking was happening, the inferior team in a game could call a time out to prevent the better team from scoring. Games would never get finished, let alone played. That's essentially what's happening in the Senate, and it's got to stop. The filibuster either needs to be changed to reduce the number of votes required to invoke cloture, or there need to be limits on the number of filibusters allowed per Congressional Session, as there are limits on time outs in sports games. Whatever the right solution is, the system isn't working to allow our Federal government to even attempt to implement policy solutions with a realistic chance of solving our most urgent societal problems. It's time to address this systemic barrier to progress via a Filibuster rules change in the Senate. The Future of the American Southwest: Will It Go the Way of the Hohokam? What is the true carrying capacity of America, if the San Joaquin Valley’s water problems persist? About one-fifth of California’s total electrical power demand is used to pump water; about four-fifths of the water pumped in California is used to irrigate agriculture. The ability of the state to build sustainable power supply — like those turbines in Tehachapi — has direct implications on the nation’s food supply. Likewise, much of the population of Los Angeles could not exist without the massive aqueduct system that brings the city water from the Colorado River. How will the little mining towns of northwestern Arizona fare as fossil fuels decline? They’ll still be able to ship their minerals by rail along the freight tracks I paralleled on Route 66, but they’ll need to have alternate sources of revenue if peak oil quenches economic growth. Supporting those proposed solar arrays and grid connections could mean the difference between thriving and shrinking, which explains why in a parched, windswept, and sun-baked land like Mohave County, the need for local water and energy supply is urgent enough to override the usual political bent and make strange bedfellows of Republicans and renewable energy advocates. Such alliances will become more common in a century of decline. Necessity wins over ideology every time. In a time of great energy transition, water looms ever larger as an area of our infrastructure and practices that requires a sustainability-based makeover. As we've blogged here recently, I predict that water will become the next great ecosystem market after carbon. Herein lies another epic business opportunity to do well by doing good. I'm interested in hearing about emerging success stories (as well as stories of failure -- such as that of the Hohokam, which are important to learn from), so please do send them my way. I'm especially intrigued by stories about the emerging use of forests and other healthy ecosystems to provide water provisioning and filtration services. A Climate Change - Earthquake Connection? When he analyzed 800,000 years of activity from about 50 volcanoes in eastern California (the age of rocks formed from volcanic ash can be determined by radioactive dating), Prof. Glazner found that "the peaks of volcanic activity occurred when ice was retreating globally. At first I thought it was crazy, but other scientists also found evidence that climate affects volcanism." The likely mechanism: glacial retreat lifts pressure that had kept the magma conduit closed. "The pressure of the ice sheet suppresses earthquakes, so removing that load triggers them." Does that mean that the Haiti quake has any link to the melting of the polar ice caps? Who knows. Speaking with a prominent climate scientist about the subject, he called this area of research 'highly speculative' (though admittedly interesting). But to see geoscientists finding that there even may be a link between climate disruption and tectonic activity is certainly unsettling. I mean, does that finding extend to supervolcanoes like Yellowstone and Mt. Tambora? During President-Elect Barack Obama’s transition, the Center for American Progress proposed a 10-point clean-energy agenda for the president and Congress that would speed the economic transformation to a clean energy economy. A review of these items today finds that all were adopted or are working their way through the process. This is a startling achievement amidst the worst economy in 70 years, two wars, and an opposition party disinterested in cooperation. President Obama did much of what he promised, and he can do more in 2010 by cajoling Congress to do its part. These achievements will have real world impact. By 2011, the American Recovery and Reinvestment Act, P.L. 111-5, will double the generation of renewable electricity from the wind, sun, and earth. 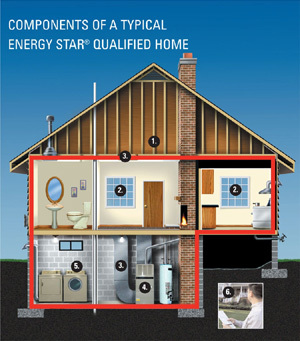 ARRA will also lead to energy efficiency retrofits in 1 million homes by 2012. 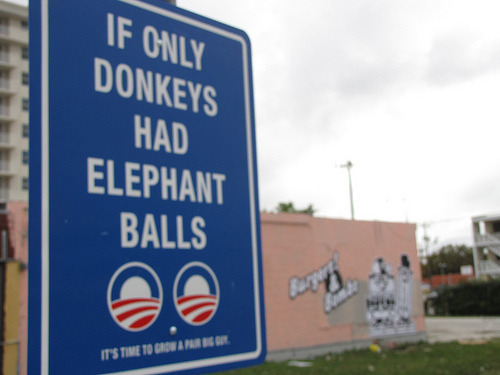 And President Obama’s new fuel economy standards would save 1.8 billion barrels of oil. Additional benefits will accrue as the president and Congress finish some 2009 clean-energy initiatives and additional efforts are launched in 2010. The article not only reviews 2009's progress, but includes a solid to-do list for 2010, starting with cajoling the Senate into passing climate change legislation, and also including many more Executive Branch steps that will almost certainly prove much easier. Think City — 100 miles per charge. Ten years ago, highlights at the 2000 Detroit Auto Show included gas hogs like the Chevrolet SSR and the Hummer H2. There was only one electric offering back then, and that was the Think City. Here we are today at the North American Auto Show, and there are nearly 20 electric offerings. I can't wait to own one of these and reap the savings on gas, as well as the crushing it's going to give to my carbon footprint. Even two and a half years ago, when I purchased the hybrid that I now drive, I immediately slapped on seat covers and pulled out the original mats so as to keep the car as clean as possible -- because I knew I'd want to trade it in for a plug-in as soon as they come out. If I can ever afford to own a home in this economy, the plug-in will be charged off the power of our solar system! Tom Friedman - Who Will Win the Race to Lead the Global Clean Energy Economy? Being in China right now I am more convinced than ever that when historians look back at the end of the first decade of the 21st century, they will say that the most important thing to happen was not the Great Recession, but China’s Green Leap Forward. The Beijing leadership clearly understands that the E.T. — Energy Technology — revolution is both a necessity and an opportunity, and they do not intend to miss it. It's sad that America is pre-occupied with false flag issues like drilling, abstinence education and the stupid exploits of Tiger Woods and Sarah Palin. As China awakens, our government's outdated and surficial thinking -- and paralyzing servitude to 20th century energy industries -- reminds me of the hubris of the late Roman Empire. A century ago, did the horse industry go out so strongly kicking and screaming that policies favoring cars and oil would bring America to ruin? Even when Congress tries to solve problems like our increasingly unaffordable health insurance costs, our foolish oil addiction, and our inadequate financial regulatory system, they can't seem to get anything done. From California to the Federal government, an extreme minority is obstructing progress. I've written about the need for Senate leadership to grow themselves a pair on climate change and clean energy legislation, and to follow through on the campaign promises that lead to us electing a significant Democratic majority after a decade of Republican policy disasters. It's time to be bold, to welcome the hatred of enemies of progress, and to get the job done. For those who are obstructing the Senate's efforts to pass strong climate change and clean energy legislation, I have one question: what are you are for? 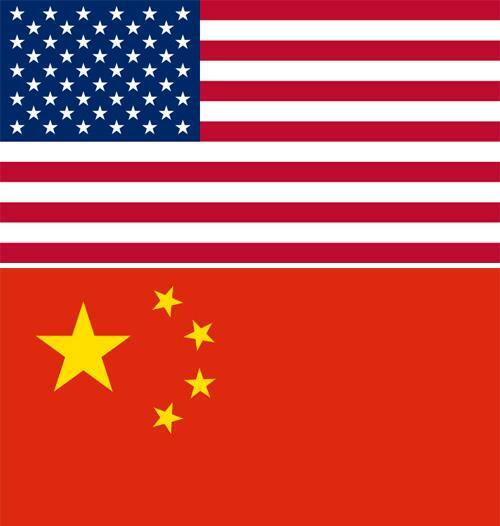 Are you for the consequences of inaction that Friedman warns of: ceding our leadership in the clean energy economy to China, as well as the jobs and security that will come with it? The year 2010 is dubbed the International Year of Biodiversity -- intended on focusing humanity on solutions for doing more responsible -- and respectful -- job of coexisting with the spellbinding array of beings that we share the planet with. 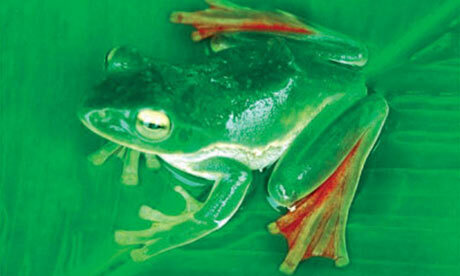 Biodiversity is integral to our daily lives. It is not about the loss of exotic species which have been the focus of conservation activities by the foundations and trusts of wealthy nations. It is about the vital resources which underpin the wealth and health of the world's poor and that provide the vital needs for the heath and wellbeing of us all. 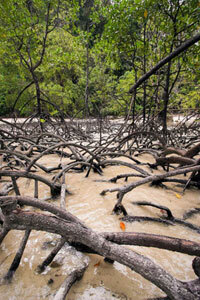 The equivalent to the Stern report for biodiversity is called The Economics of Ecosystems and Biodiversity (TEEB). It warns that our neglect of the natural services provided by biodiversity is an economic catastrophe of an order of magnitude greater than the global economic crisis. 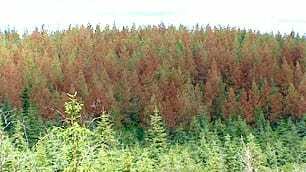 Year on year, the irreversible loss of natural diverse genetic resources impoverishes the world and undermines our ability to develop new crops and medicines, resist pests and diseases, and maintain the host of natural products on which humans rely. Equally significant, are the vital natural services that the world's ecosystems provide. These include providing vital oxygen, decomposing waste, removing pollutants, providing the natural buffers that help manage drought and flood, protect soil from erosion, ensure soil fertility, and provide breeding nurseries to maintain fish ocean stocks. The list goes on, and among these immeasurable vital functions of nature is of course its ability to absorb carbon dioxide. The ability of forests, bogs and salt marches, tundra, coral and ocean plankton to sequester carbon should be our greatest ally in managing the increased emissions of fossil fuel activity – a key theme of the climate negotiations in Copenhagen last month. Rather than seeing biodiversity and ecological mechanisms being eroded, we need to see a massive effort towards finding a more effective sustainable relationship between human society and nature. 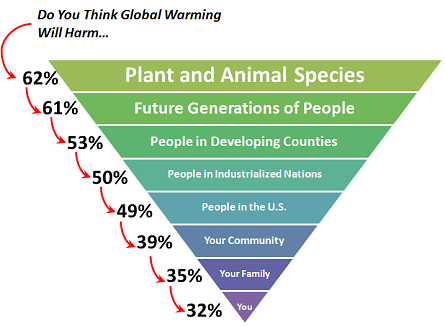 This is not a scientific or environmental issue, it is a social question and an ethical one about what our generation leaves for those in the future. Separate reports out this week predict gangbusters growth for sectors that have sprung up to help companies and governments reduce their carbon footprints. Just-released research predicts the carbon management and services market will swell tenfold over the next seven years, billions will pore into carbon capture and storage technologies, and the emissions trading market will triple within four years. "Regardless of what happened in Copenhagen, the low-carbon momentum has already begun to take root around the world," Pike Research said in an excerpt of its report, "Carbon Management Software and Services: Business Drivers, Policy Issues, Enterprise Adoption Patterns, Competitive Landscape, and Market Forecasts." The report pegged the fledgling carbon management software and services market at $384 million in 2009, with potential to grow at a 44 percent compound annual growth rate through 2017, when its value will top $4.3 billion. When I think about climate change solutions, software isn't exactly the first thing that comes to mind. For me, reading this story is yet another reminder of the incredible promise that awaits our economy as we get serious about solving climate disruption and executing our transition to clean energy technologies. As the Center for American Progress (CAP) reported recently (full report here, pdf), fertility problems, miscarriages, preterm births, and birth defects are all up. These trends are not simply the result of more women postponing motherhood to their late thirties like I have. Nope, it's more likely the chemicals all around us. As a father of a 4-month-old, new of these types of impacts drives me batty. We can do so much better than this. I wonder: in 20 or even 50 years, how much of the stuff we use today we are going to look back on in the same way we now look back on the lead that used to be in paint and gasoline, like the DDT and other nasty pesticides that were once commonly sprayed, and like cigarettes? At what point will we -- at the societal level -- learn to become more careful with our chemicals before approving them for widespread societal use? Living on Earth has a neat story -- featuring top experts like Jared Diamond -- about the future of the Ecological Landscape. Summing up, I'm not an optimist; I'm not a pessimist. I would describe myself as a cautious optimist, and by that I mean that the problems that we face are all problems that we are causing, and so if we decide to solve the problems, we can solve them. I'm not worried about some asteroid that we can't stop crashing into the Earth – that would be a hopeless problem, an unsolvable problem. Instead, I'm concerned about what we people, ourselves, do with our water, and our forests, and our fish and our topsoil. We already know how to manage forests, and fish, and waters sustainably and we do it in some cases. All we have to do is do it in the other cases, as well, and we'll be sailing off into a happy future; my children will end up in a world worth living in. We have the knowledge, but do we have the political willpower? * Finally, and most important: Beware the law of unintended consequences. Developing tasteless fruits and vegetables was not the goal of the last Green Revolution; it was a side effect of a system designed to eliminate hunger by providing plentiful, inexpensive food, but that also ended up rewarding quantity over quality. We should always keep in mind that when we're dreaming of a system that focuses on the reverse, we run the risk of creating something far worse than strawberries that bounce. OK, I'll admit that when I see a little container of organic and local strawberries for $6, I breeze right by it. The good news is that these days, it really doesn't take too much searching to find affordable organics. Or even affordable local organics. That said, the more we can convey the benefits of a sustainable food production system in terms that are immediately relevant to everyday moms, the better. We need simple, concrete pictures and stories about how sustainably produced food is better for our kids, our health, our safety -- and at the same time, for the land and water ecosystems that support food production. As we've reported here on this blog, a revolution in the way we produce and distribute our food is one of the great areas of promise in the coming decades for solutions that benefit both our environment and ourselves. 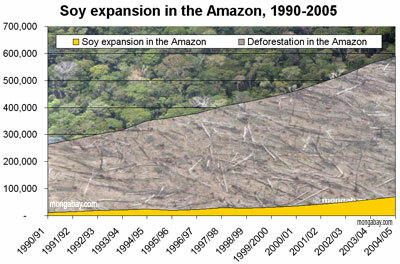 A new piece from Lester Brown's Earth Policy Institute points to the global need to reduce demand for soybean production, which is a primary driver of Amazon deforestation (and thus a key driver of climate disruption). Climate Disruption Blamed for Costing Logging Jobs in B.C. Could this impact of warming end up pitting the timber industry against the fossil fuel industry, and lead to another instance of unlikely bedfellows supporting bold climate disruption solutions? Makower: Where's the Sense of Urgency?